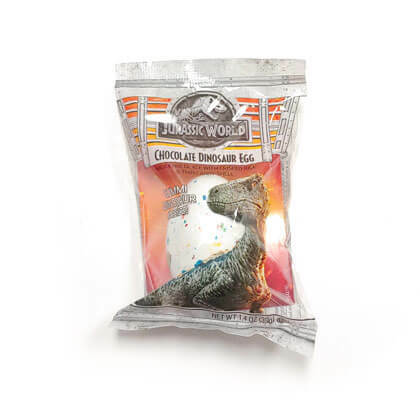 This crispy milk chocolate dino egg has a thin candy shell and a fruity gummi dinosaur in the center. Egg approx. 2 inches tall. 1 egg.